From the moment that the Islamic Revolution of Ayatollah Sayyed Ruhollah Khomeini and tens of millions of Iranians toppled the Israeli-US-UK-backed Shah and defeated the CIA’s counterrevolution, there has been a sustained campaign of violence, propaganda and subversion against the Islamic Republic of Iran. This campaign, naturally, has been led by the Zionist entity with crucial support being provided by America, Britain and a handful of strategically installed Arab dictators. It began on September 22, 1980 when Saddam Hussein invaded Iran at the behest of the Zionist Power Configuration in Washington, initiating the genocidal Iran-Iraq War. Over one million Iranians were slaughtered and more than 400,000 Iraqis were murdered in the Western-backed war of aggression on the revolutionary Iranian nation. The war was designed by an Israeli-American-Saudi-Kuwaiti axis, in an attempt to depict Persian Iran as the enemy of the Arabs, protect US-Zionist oil interests (1), crush the Islamic Revolution and of course, to replant a Shah-like dictator friendly to Zionism and the West. Saddam was bankrolled by the House of Saud to the tune of half a billion dollars during the war and received critical intelligence support as well as assistance in piloting missiles against Iranian targets from the usurping Israeli entity’s Mossad (2). 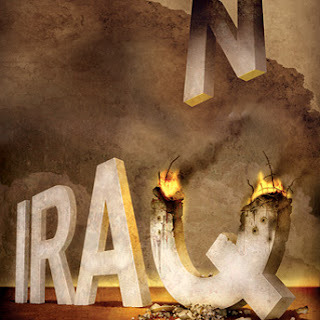 As the war dragged on and the civilian body count continued to rise, the Zionist media introduced its most prolific lie: the story of Israel providing advisors for and selling weapons to Iran during its war with Iraq in the amount of $500 million. The Islamic Revolution repeatedly and vehemently denied the story as Zionist propaganda aimed at distorting Iran’s image in the Arab world and misdirecting Arabs from absorbing the inspiration of the Revolution (3). 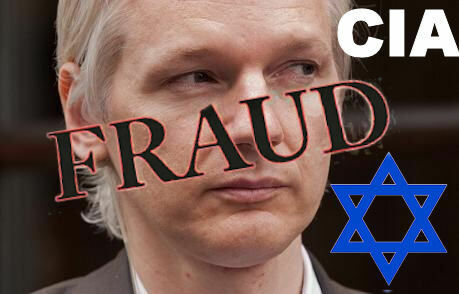 The only sources for this ridiculous, slanderous, concocted $500 million figure: the UK newspaper ‘The Observer,’ a subsidiary of the Zionist-owned Guardian, TIME Magazine, an infamous, long-standing asset of the Zionist Power Configuration’s propaganda machine, Ronen Bergman, a prominent Israeli journalist with deep ties to the Zionist intelligence establishment and who composed an entire book labeling Iran as the ‘world’s most dangerous terrorist power,’ bashing its people, its Revolution and its peaceful nuclear program (4) and the Jaffe Center For Strategic Studies at Tel Aviv University, an institute that has been run by Aman, Israel’s military intelligence agency, since its opening (5). Zionist fingerprints everywhere; the evidence of falsehood regarding this weapons deal is thoroughly overwhelming. In reality, the Israeli (and American) weapons used by the Islamic Revolution in its struggle against Saudi-US-Mossad-backed Iraq had been delivered to the Shah in his multiple arms purchases from the West long before 1979 (6). In reality, the Zionist entity continued its clandestine support for Saddam Hussein after the war that devastated Iran and Iraq both and conducted multiple attempts to assassinate Ayatollah Sayyed Ruhollah Khomeini (7). 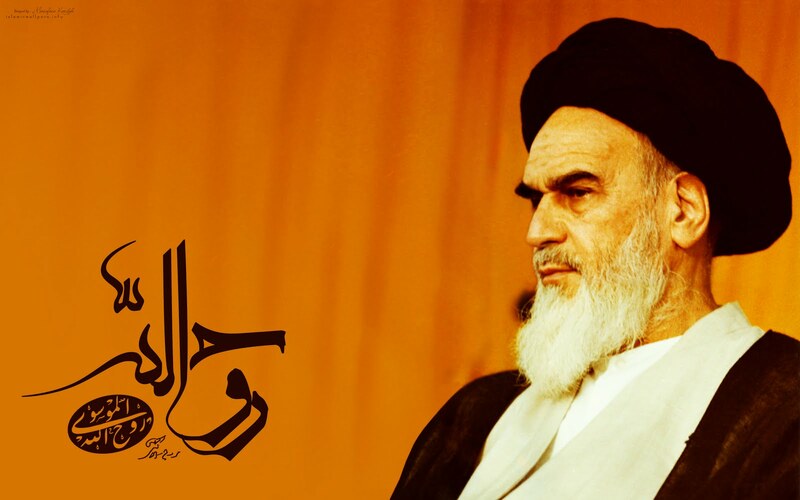 In reality, the Ayatollah had been the only Muslim leader in his time (excluding the martyred revolutionary Iraqi leader Abdul Karim Qassem) to speak against the Zionist colonization project in Palestine and the only Muslim leader to stand up to the Zionist-occupied American government’s hegemony in the region. It was Ayatollah Sayyed Ruhollah Khomeini who supported Resistance throughout the region and it was the Ayatollah, who started the tradition of ‘Al-Quds Day,’ to raise global awareness for the Palestinian struggle and demand the unequivocal liberation of the holy land from Zionism, something that he considered a top priority (8). Immediately following the triumph in 1979, throughout the Iran-Iraq war and after its end, all the way until now in the present day, the Mujahedin-e-Khalq (MEK) organization that once fought alongside the Islamic Revolution has waged bloody war against it after Ayatollah Khomeini expelled its leadership for sedition. It fought with Saddam Hussein from its Camp Ashraf base in northern Iraq, which it set up under American and Israeli protection. And since 2002, it has worked intimately with Mossad and the Zionist Project for a New American Century to destabilize Iran’s peaceful nuclear energy program (9). Meanwhile, its terrorism against the Islamic Republic’s civilian infrastructure has been brutal. Since the fall of the Shah, MEK has murdered at least 16,043 Iranians (10). The most notorious selection of Zionism’s propaganda against Iran in recent years is the 2009 Iranian presidential elections, without question. Despite massively-adored nationalist-populist incumbent President Mahmoud Ahmadinejad winning by landslide proportions (63.3% or 24.5 million votes) over his Western-backed opponent Hossein Mousavi, the Zionist media unleashed an onslaught of reports that the elections were stolen, with absolutely, positively no evidence. The entire leadership of the vastly powerful Conference of Presidents of Major Jewish American Organizations, the Zionist entity’s Foreign Ministry and the Zionist-owned pro-Israel institutions of CNN and the New York Times demanded even harsher sanctions against the Islamic Republic in the wake of the elections (11). Meanwhile, the streets of Tehran were on fire as Mousavi and his ‘Green Movement’ followers staged violent, destructive demonstrations in protest of Ahmadinejad’s victory, much to the delight of the neo-conservative, Israel-firster cabal that controls America’s foreign policy. However, it didn’t take long for the truth to emerge from the shadows. The Green Movement was part of a Bush-era destabilization plot against the Islamic Revolution worth $400 million (12), and it was being fully directed by the CIA and the Zionist-founded, Zionist-run National Endowment for Democracy (13). There of course, are the ever-present criminal sanctions that have been escalated year after year since the fall of the Shah. The most detrimental piece of sanctioning legislation to hit the Islamic Republic is the AIPAC-backed ‘Iran-Libya Sanctions Act’ of 1996. It has utterly crippled Iran’s aviation industry and due to the Persian nation’s inability to import the proper parts for its airplanes, thousands have died in plane crashes since the 1996 act’s implementation in the geopolitical arena. The sanctions have turned Iran’s commercial airliner fleet into the pinnacle of insecurity (14). But the Zionist’s entity’s wars, assassination attempts and sanctions have not broken the will of the Revolution. The aggression has not brought the Revolution to its knees, the Revolution has rejected the concept of groveling to Zionism as the Shah did so faithfully. Though mass murdering war criminal Benjamin Netanyahu has disturbingly labeled Ayatollah Sayyed Ali Khamenei, the successor of Ayatollah Khomeini, the ‘greatest threat to world peace (15),’ the Zionist entity has changed its tactics over the last 18 months, reverting to espionage and the hasbara blitzkrieg of the 1980s to smear Iran in the eyes of the Muslim/Arab world. The Stuxnet Virus, the Israeli-created malicious program that is now wreaking havoc all over the world (16), was first unleashed on Iran in an American-Israeli plot that has significantly damaged Iran’s industrial sectors in the range of hundreds of millions of dollars and brought its peaceful nuclear energy program, which it was developing as an alternative to the oil-dominated energy market, to a screeching halt (17). Recent endeavors of the Zionist media include ‘revelations’ about Ahmadinejad’s Jewish roots and ‘shocking discoveries’ of the six-pointed Israeli star engraved in a building in the main square of Tehran. Needless to say, both stories are pathetically false, with the latter being the work of Zionist-owned Orwellian internet behemoth, Google, and were released to sow discord, unrest and chaos within the Islamic Republic (22). None of Zionism’s manipulations and falsehoods however, could even remotely compare to what its media released to the detriment of Iran on May 24th, 2011. The story surfaced and immediately sent ripples throughout the globe. The United States announced new sanctions against seven companies for business transactions processed with the Islamic Republic of Iran. One firm from Monaco, one from Venezuela (a ‘hostile environment’ as far as the US-Israel nexus is concerned), another from Singapore, another from the UAE, two connected to Iran itself and one... from the Zionist entity (23). The idea that an Israeli company was doing business with its bitter, despised enemy, Iran, was a hard enough pill to swallow. But this was no ordinary firm. 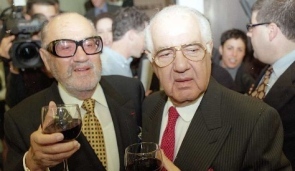 This firm was owned by the Ofer Brothers Group, as in the brotherly duo of Sammy and Yuli Ofer, reportedly known to be the Zionist entity’s wealthiest men (24). This added another layer of strange to the story. The snake of hasbara reared its ugly head in the blink of an eye, and a torrential downpour of bizarre ‘breaking news’ was at every corner of the Zionist entity’s newspapers. The reports started coming in at lightning speed, and what started as ‘Ofergate’ evolved into a mutated media monster about actual trade relations between Iran and Tel Aviv: 13 ships owned by the Ofer Brothers had docked in the Islamic Republic over the course of a decade, and a relationship was established with the Islamic Republic of Iran Shipping Lines (25), 200 Zionist companies had financial links to the Islamic Revolution’s energy sector (26), hundreds of Israeli firms (and American firms also) conducting business with Iran via sub-companies (27), and the most outlandish of all, that Iran trades marble, cashews and pistachios with the Zionist entity for Israeli organic fertilizers, pierced irrigation pipes, hormone-boosting milk products and seeds and that an Iranian Agriculture Ministry official traveled to Tel Aviv to thank it for the business (28). Outrageous. Undeniably outrageous. The origins of this hasbara will be dealt with in a moment. The first question is, why would the American government, which is dominated and controlled by Zionists of every known type, from WINEP to AIPAC, ZOA to AJC, Brookings to CFR, release information about an Israeli company doing business with Iran? As was the case with the venomous Iran-Israel weapons deal propaganda during the Iran-Iraq war, only with more prevalence here, all sources for ‘Ofergate’ originate from the Zionist entity: Yossi Melman, well-known columnist for Haaretz with abyssal ties to Shin Bet, IOF, Mossad and Aman; Tel Aviv University and Haifa University, both schools are entrenched in Israel’s military society, with each of them graduating their fair share of Knesset members, Prime Ministers, Mossad officials and IOF officers; and the Israeli-Arab Friendship Association, a capitalist, neoliberal think tank-type organization that whitewashes occupation and Palestinian suffering in the pursuit of profit. 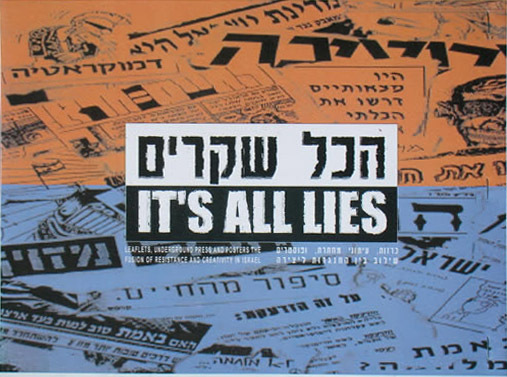 Liars, propagandists, exploiters, hasbara fellows, warmongers and more liars. 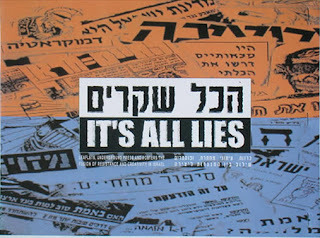 It is also of grave importance to note that the Israeli government and Shin Bet rule the media sphere with an iron fist, issuing gag orders on ‘national security’ matters and revoking publishing licenses when need be (31). If the Zionist leadership didn’t want the aforementioned band of liars to publish this information, it wouldn’t have been published. Period. While it is clear that the media’s coverage of ‘Ofergate’ is a hasbara operation of the highest degree, part of a greater demonization and isolation agenda that Israel and its Western stooges have pursued against Iran since the victory of the Islamic Revolution, there is still another aspect to it; a darker aspect. An intelligence aspect. An aspect highly worthy of comment due to the implications it has for the future of Iran. The immense wealth of the Israeli Ofer Brothers is by no means the most troubling point of ‘Ofergate.’ What is most troubling is what lurks beneath the Ofer Group exterior. It is more than ‘just’ a multi-billion dollar global holdings firm intricately interconnected with various banks, chemical companies and oil refineries. It is the owner of Zim Integrated Shipping Services (32), a firm connected to Mossad’s false flag attack on 9/11. One week before the Towers were brought down in a controlled demolition, Zim, which was 50% owned by the illegitimate state of Israel at the time, paid $50,000.00 to break its lease with no explanation as to why (33). Due to Zionist war criminal and author of the Patriot Act Michael Chertoff’s control of the Justice Department before, during and after 9/11, Zim was never investigated (34), nor was the Ofer Group for that matter. The Ofer Group hasn’t just done favors for the Zionist intelligence-defense establishment in the past, it is the Zionist intelligence-defense establishment; forever at the service of the Israeli state, a major asset for all Zionist apparatuses. 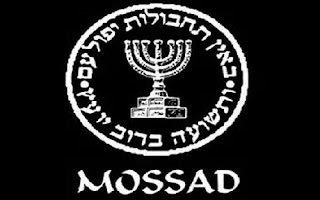 In the highest ranking corporate positions of the Ofer Group, there are senior officers of Mossad and IOF (35). This information is critical to the greater picture. 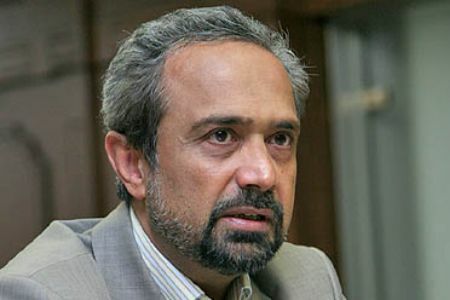 The day that the Zionist media’s psychological warfare began, Deputy Managing Director of Iran’s Port and Maritime Organization Mohsen Sadeqifar rejected all of the Israeli entity’s claims, stating “Ships belonging to shipping lines of the United States and particularly the Zionist regime have never entered Iranian ports during recent years. Iran's Commerce Ministry or the Islamic Republic of Iran Customs Administration have issued no license for any US or Israeli ship to dock in Iranian ports (36).” There is no reason to doubt what the Port and Maritime official states; logically, it checks out. The Islamic Republic of Iran represents Resistance to Zionism and its American marionettes, it would never, ever grant shipping licenses to what the Iranian leadership commonly refers to as ‘arrogant powers.’ At least... not knowingly. The Mossad-Aman-IOF-linked Ofer brothers have categorically denied that they sold ships to the Islamic Republic (37). Additionally, ex-Mossad director, war criminal and murderer Meir Dagan seemed nervous in downplaying ‘Ofergate,’ by saying nonchalantly that the media was ‘blowing it out of proportion’ but sternly refusing to elaborate further (38). This grants great credence to what was discussed in the previous section: the Israel-Iran ‘trade’ story is sheer concoction. And it is now known that this concoction is serving as a deflection. It is a cover-up. An operation within an operation. Its first purpose: smear Iran, cripple its financial ties abroad. 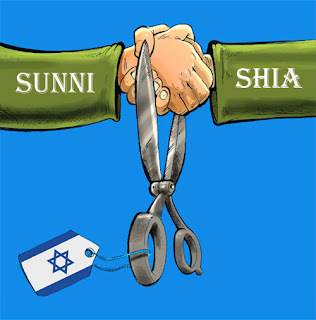 Its second purpose: damage control for the Zionist entity’s infiltration of the Iranian nation. As is the case in occupied Iraq, where at least 70 Zionist companies that work directly with Mossad are profiting off of Iraqi suffering under Arabic, Turkish, Kurdish and English names (39), it is now confirmed that the Ofer Group’s ships, in classic Mossad fashion, were also sailing into Iranian waters under foreign flags to cloak their identity (40). Hence, why the Islamic Revolution may have granted licenses to an Arabic, Turkish, Kurdish or English shipping company that was actually an espionage front for the Zionist entity. There is also the strong possibility, that no licenses were granted at all, and the Ofer Group spy ships penetrated Iran’s sovereignty in a typical display of Zionist intransigence. Aboard these spy ships were numerous Mossad agents, including agents involved in the assassination of Hamas official Mahmoud al-Mabhouh in Dubai (41), Black Hawk helicopters and hidden Israeli commandos to pilot the copters for reconnaissance missions against Iran (42). This would explain how the usurping Israeli entity managed to insert its agents within the fabric of the upper echelons of the Iranian defense sector to carry out assassinations of several nuclear scientists as well as the planting of the Stuxnet virus. This operation is one of utmost severity. Shortly after ‘Ofergate’ broke out, the racist Zionist institution known as the Knesset convened for an investigation into the matter. The meeting orchestrated by the Knesset Economics Committee, led by Likudnik Carmel Shama-Hacohen, came to an abrupt halt in the beginning of the proceedings when Shama-Hacohen was passed a mysterious note seemingly requesting the shutdown of the investigation. It was unprecedented in the history of the Knesset (43). ﻿The author of the note was none other than the Zionist fascist Yaakov Amidror, Netanyahu’s current national security advisor, former head of the IOF’s military colleges, former Aman agent, and stunningly, former board member of the Israel Corporation, Zim Integrated Shipping Services and many of its subsidiaries, all of which are owned by the Ofer family (44). Amidror was shutting down unnecessary political meddling in a vast intelligence operation designed to breach every part of Iranian society and take down the Islamic Revolution from within, piece by piece, facilitating the easiness of a military strike. Iran and its righteous, steadfast people must remain more vigilant and more aware than ever. The Mossad assets of ‘Ofergate’ are still at large and they must be expelled, captured or executed, whichever comes first, if the Islamic Revolution and its Resistance wish to advance into the realm of a peaceful future. At the very core of ‘Ofergate’ and all of the Zionist entity’s 30-year aggression against the Islamic Republic of Iran is the orientalist-planted idea of a ‘great Persian conspiracy.’ It is the historical orientalist-colonialist concept of ‘the other,’ that which is ‘different’ is that which is dangerous. The basis: Persian Iran, predominantly comprised of Muslims from the Shia school of thought, seeks imperial dominion over all of the Arab world which is predominantly comprised of Muslims from the Sunni school of thought. It is the narrative that the Gulf States used in collusion with the US and the Zionist entity against Iran in the Iran-Iraq war. It is a narrative with no intelligent basis. It is a narrative that is lacking, entirely, in evidence. It is a narrative of lunacy. And it is a narrative that has been rejected by the people of the Arab world. 90% of the Arab populace supports Iran, its peaceful nuclear program and its stance on the liberation of Palestine. 88% of the Arab populace views Israel as the region’s greatest threat and 77% of the Arab populace views the US as the next greatest threat (45). The opinions of dictators, monarchs and autocrats, which were forged by their Western controllers to begin with, have been drowned out by the insight and intelligence of the Arab people. There are no Iranian bases scattered throughout MENA. There is no Iranian depleted uranium; no Iranian white phosphorus. There are no Iranian banks seeking to financially demolish societies through neoliberalism. There are no Iranian occupations. There is no genocide at the hands of Iran. There is no Iranian lobby. There is no Iranian monopoly over the world’s media. On the other hand, the US is illegally occupying Iraq, and, though it isn’t part of MENA, Afghanistan also. Over 3 million civilians have died in these genocidal endeavors. The US has its troops stationed on giant, illegal military bases throughout the majority of the Arab world, most prominently Qatar and Bahrain, home of the US 5th Fleet, where a peaceful protest movement is being systematically brutalized through murder, torture, kidnappings and military trials at the hands of the monstrous Khalifa family and its GCC allies (46). The US, UK and France are leading a criminal bombing campaign in Libya. And all of this Euro-American criminal activity, is at the behest of the Zionist entity, its neoconservative/neoliberal agents placed within the highest places of government, its immensely influential lobbies and its media. The Zionist entity itself criminally occupies Palestine, parts of Syria, parts of Lebanon and has consistently sought an expansionist agenda since its illegal creation 63 years ago. the same kind of carnage. No nation has suffered from this expansionist agenda (and the Shia vs. Sunni myth) more than occupied Iraq, which has been destroyed beyond recognition by the Zionist entity’s elite intelligence operation known as ‘Fission Field Warfare (47).’ Despite the Zionist-induced carnage, the Sunni and Shia of Iraq have rejected sectarianism, instead standing together from the onset of the occupation to fight and expose it and those who would benefit from it, i.e. Zionism and its allies (48). It is by no means coincidental, that one of the leading advocates for the invasion of Iraq, who spread the most consequential lies (including sectarianism) for the furtherance of the Zionist agenda, the former Israeli occupation soldier, columnist for The Atlantic and hasbara fellow Jeffrey Goldberg (49), is now attempting to spread the very same lies to trigger events that would lead to balkanizing Iran. And for whose benefit? For Israel of course, and all of its slavish Arab dictatorships (50). ﻿The Zionist entity longs for a military confrontation with Iran, whether directly like Lebanon or by proxy like Iraq. The Zionist entity will not be content until Iran, and its closest Arab ally, Syria, are ‘dealt with’ like Libya is being ‘dealt with,’ according to genocidal, xenophobic Israeli Foreign Minister Avigdor Lieberman (51). Dealing with Iran the ‘Libya way,’ would mean incessant ‘shock and awe’ bombardments carried out against Tehran’s civilian population with depleted uranium, white phosphorus, smart bombs and helicopter gunships on a nightly basis, as Tripoli is experiencing now (52). 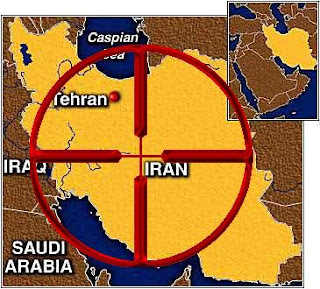 The Israeli regime has already drawn up plans to strike 3,100 targets in the Iranian cities of Isfahan, which has a population of over 1.5 million, and Natanz (53). Meanwhile, the subversion continues. As if being a target of the Zionist entity’s Wikileaks operation wasn’t enough, Iran is now under cyber attack from a group called Anonymous, a network of ‘hacktivists’ who would like the world to believe they’re fighting for truth, justice and freedom for all. This is nothing more than a front. They’re not. They’re launching open warfare on the Islamic Revolution’s servers for the US State Department, the NSA and the CIA (54). And now, with Sammy Ofer, one half of the Ofer Group, Mossad’s multi-billion dollar asset, ‘passing away of an unknown illness (55),’ or, in this author’s opinion, being assassinated for admitting publicly that his company has carried out missions for the Zionist ‘state’ on previous occasions (56), expect Mossad to increase its criminal activity inside Iran. Possibly more assassinations. Possibly more MEK terror attacks than ever before. Also expect Iran to increase its defenses ten fold. “We Muslims are busy bickering over whether to fold or unfold our hands during prayer, while the enemy is devising ways of cutting them off.” Let this quote serve as an example for all Muslims throughout the globe, specifically those living under the tyranny of occupation. Divisions, ethnic, religious or otherwise, benefit nobody but the oppressors. The ‘great Persian conspiracy’ is a great lie, perpetrated by the world’s imperial and financial powers to split Arabs and Persians apart while their resources are gobbled up by the aforesaid powers and their Islamic culture is butchered. 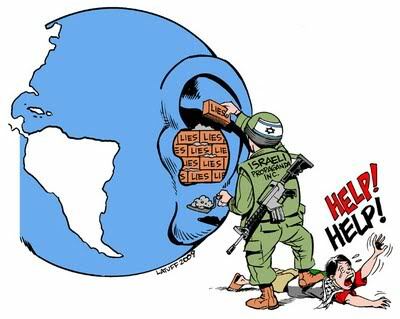 The great Zionist conspiracy however, is exceedingly real and it must be defeated for justice to reign on this planet. Ayatollah Khomeini feels the same, hence why he once said, “The Zionist regime occupying al-Quds will vanish from the pages of history.” Indeed it will. It is simply a matter of time. And thanks to the Islamic Revolution in Iran, which has inspired the Resistance of Lebanon, Somalia, occupied Kashmir, occupied Palestine and countless other activists, sheikhs, scholars, bloggers, writers, fighters and poets worldwide in the fight against international Zionism, that time appears to be sooner rather than later. Another amazingly detailed article my friend. I have to admit that my heart sank a little while reading it. The power that they control is really frightening at times, but I hope so much that you're right in saying that their time is coming to an end, and sooner than later. If only there was a free press in the west their days would come to an abrupt end. Yet another excellent insightful and thought provoking post Brother. I will have it posted and accredited within the hour. But I do have a few honest questions for you. Perhaps you can enlighten me. First. 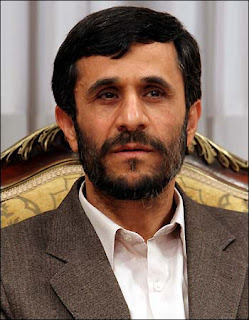 I remember last year when it was publicized that Dr. Mahmoud Ahmadinejad had an a passport showing he had Jewish roots. I also remember very clearly seeing photos of it as well as some of the Dr., surrounded by the raised hands of those around him, holding the document up to the camera with a very big smile. At the same time there were leaks of his Jewish ancestry. How are these photos explained? My second question is this. I have in the past done a lot of work regarding the Satanic handsign that is so frequently flashed by politicians, rock stars and foolish unthinking fans. Years ago when I was writing on the Bush cabal's frequent use of this sign, I came across photos of Dr. Ahmadinejad very proudly waving that same satanic signal. At the time I had a few protests from Iranian readers who said this was not possible. Can you please perhaps explain this to me. I just figured that, in the great chessgame of international (zionist) politics, he played a hidden role in the affairs of the Middle East, as well as the one publicized. A few years later I see things are quite different than I thought, I know now I was right in thinking him one of the few relatively honest politicians on the planet, and admire his stance on the Holocaust and Israel because he does not mince words. Altogether he is a complex man, and very important in the world as things stand. Can you set me straight on my questions please. Also, do you have anything new to say about the rapidly increasing tension and the war against Pakistan. This is another HUGE story of international proportions and honest information is hard to come by although I do go to several Pakistani sites. This situation that America and Israel (whose name is very hidden in it all) is quite bothersome because they have been warned by the big boys and still persist in their diabolical careless ways. Don't they CARE about the abyss they are teetering us all towards? How can they be so stupid as to think this will not effect them? Ok enough... and may the Rothschilds be cursed for all time. Even that is not long enough! I think the worst hell for those demons would be to be placed in a place of boundless good and love of the highest degree. However the catch is... NOTHING and NO ONE would ever change their divine ways... and these creatures would be stuck in a place where they could never do damage. Never. Ciao... and thanks again for all you do, Jonathan. Not many people in the west have dwelt so deeply into the anti Iranian activities of ZioNazi and the West as you have. I commend you for that! In regards to your second question: I've also seen the photo of Dr. Ahmadinejad flashing the infamous symbol of al-shaytan and I don't think much of it all. Here's why: During baseball games, when there are two outs, that same hand symbol is flashed by players and the pitcher. Does that mean that the baseball players are freemasons, satanists or kabbalists? Of course not. In Brooklyn, during pick up basketball games on the playground, that symbol is flashed when players want the game to be won by two points, instead of only one point. Does that make your average group of youth from the slums playing basketball satanists? Of course not. That symbol is also sign language for 'I love you,' does this mean that those who use sign language are kabbalists? No, of course not. Dr. Ahmadinejad is a very religious man, a very humble man who still lives in the same house he has lived in his whole life today, and has done great things for the Iranian nation as well as the world's oppressed because of his actions (and words) of Resistance. His righteousness is evident. There is no evidence whatsoever that would lead me to think that Ahmadinejad is a man who engages in Freemasonry. There is no evidence that would suggest Dr. Mahmoud threw up that symbol for any kind of malevolent reason. For all we know, he was saying 'I love you' to someone deaf in the crowd. Allahu A3lam, but evil, this man is not. On the other hand, when criminals like Hillary, Blair, Bush, Clinton, Obama, Netanyahu, etc. throw it up, we know the reason why they're throwing it up... because they do satanic work. Because they're agents of al-shaytan. Lastly, as you know, I've written about Zionism's war on Pakistan multiple times, so I have been following what's taken place there very carefully. I will be writing about it very shortly, in the second to last chapter of the Phantasmagoria series. I hope I cleared up your questions sister and thank you, as always, for taking the time to read. Thanks for clearing up my questions. I really had wondered about those things.... as for reading your work, I have read all that you write and have posted them all on my site. I know you have done much about Pakistan, in fact it was listening to you speaking with Mark Glenn that really opened up my vision a few more notches. Enough so that the bombings in Peshawar today sound like pure Mossad/CIA work. I am an Iranian and I want to Explain for you about that Masonic Sign that my president has shown! That's not a Masonic sign! It's just a sign that Azerbaygan state's people have that called that "Bozqurd" that mean's "gray greg"
I hope I could solved your problem.